I’m not sure I could ever bring myself to do this to my hair, but perhaps cutting a few inches has given me a new wild streak. 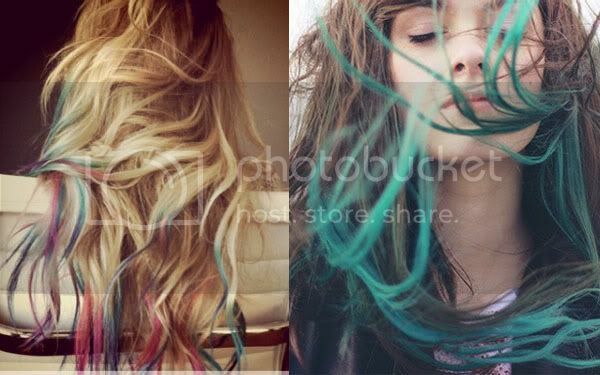 Even Lauren Conrad, who has become somewhat of a beauty icon known for classic, simple, girly styles, infused some crazy color into her blonde extensions (below left). It may only be temporary, but it looks like fun. What do you think? Would you ever do it?